Dampers physically open and close to regulate room temperatures in an HVAC system. They come in a variety of shapes and designs to work in any system. Dampers regulate room temperature and efficiently balance the supply of air coming from an HVAC unit by reducing the level of air flow or heat to unoccupied rooms. This supplies the home or building with more air flow to areas of greater need. Dampers are typically made of aluminum or galvanized steel and can be operated manually or by motor, depending on the application. 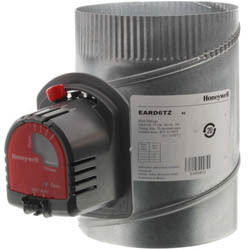 We offer a range of Honeywell, Hart & Cooley and EWC dampers, which are available in variety of models. 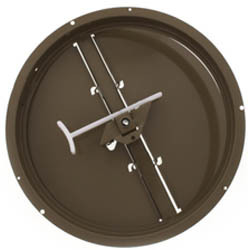 The automatic round damper is a single blade damper that uses a motor to control the volume of circulating air in heating, cooling and vent systems. 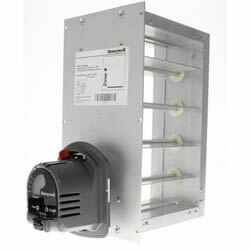 Fresh air round dampers feature a motorized single blade damper used for fresh air intake. 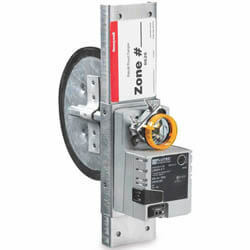 The modulating automatic round damper has a floating-control type modulating motor for bypass and zone damper control. 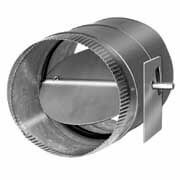 Retrofit round dampers fit into rigid round ducts for retrofit zoning in forced air and heating systems and allow multiple dampers to operate under a single zone. 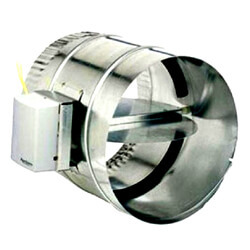 Commercial round dampers are used in conventional air handling systems to control airflow in round ducts. 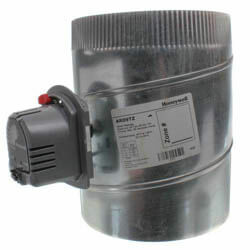 The Honeywell ZD damper is a power close and spring open damper. 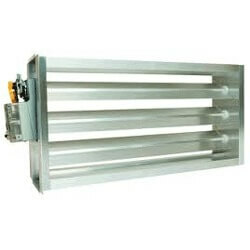 These dampers are available with square or rectangular parallel blades. 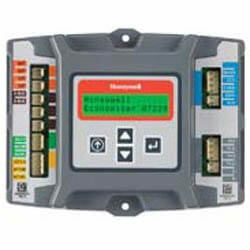 Its 24 volt motor controls the air circulating in HVAC systems and is commonly used when a normally-open damper is required. Static pressure single blade regulating dampers are available in round or rectangular models. 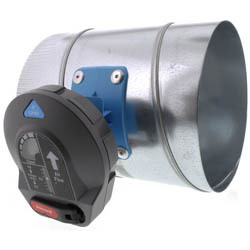 They are often used in low pressure systems to bypass excess air when the majority of zone dampers are closed. TrueZONE Bypass Dampers (CPRD) are round static pressure relief dampers. They are used in forced-air bypass applications to relieve excess static pressure when some of the zone dampers are closed.